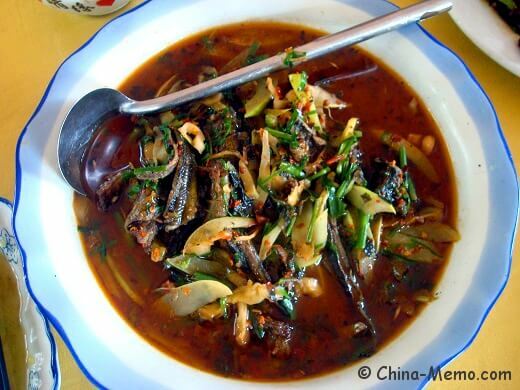 Here I'd like to introduce some famous Hunan food, which might not be often mentioned by other travel sites. Because they are not those "big name" cuisines, but just the popular food that Hunan locals can have in their daily life. 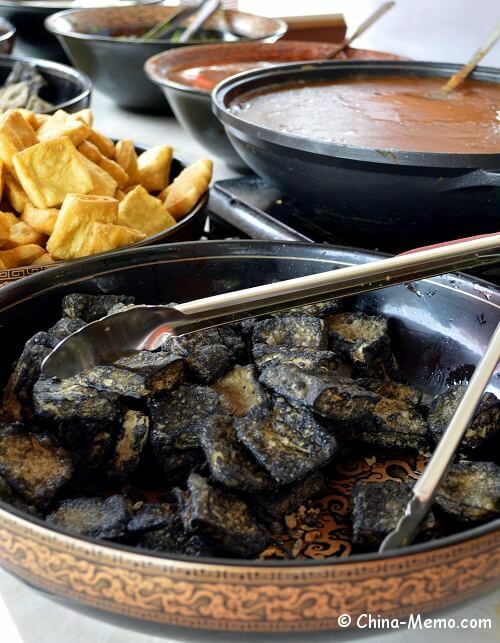 If you ask a Chinese about the famous Hunan food, most likely you will hear the stinky tofu. You may notice it is sold everywhere, from the night food markets to roadside stands. 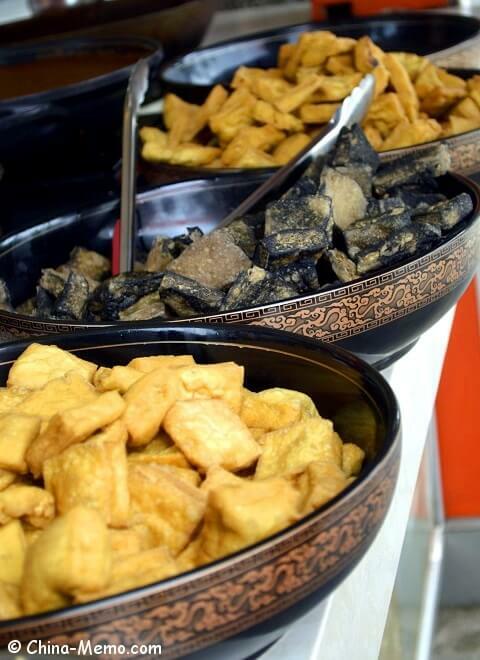 Stinky tofu is made by fermented tofu that has a strong odor. 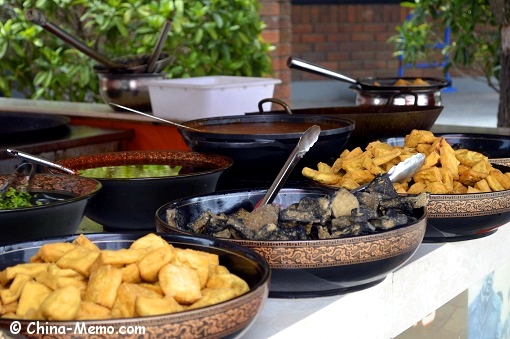 If you pass a local food market in Hunan, you can smell the stinky tofu even far from the food stands. Hunan locals may just buy these tofu after work from the street market, having them as a snack before the evening meal. It is also very popular in the local evening market. It looks dark gray or black outside, white inside, like ordinary tofu with air bubble. It is usually deep fried first, then severed with hot-red chilies, salted radish cubes and other local made seasonings. 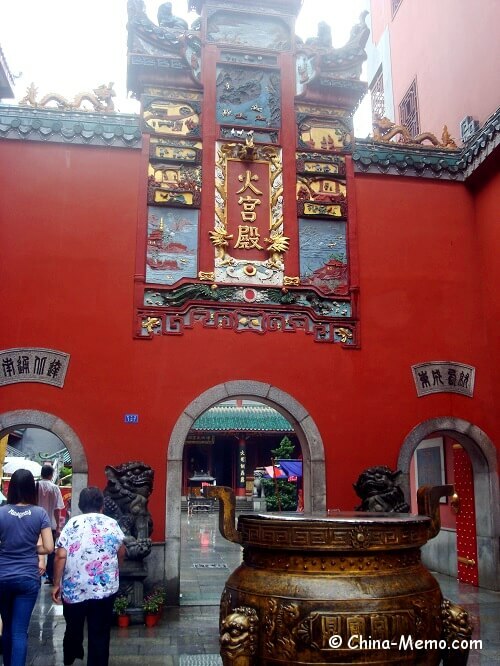 There is one restaurant becomes famous because of stinky tofu, that is the Fiery Palace in Hunan capital city Changsha, in Chinese called Huo Gong Dian (火宫殿). One reason that Huo Gong Dian is so famous is because Chairman Mao loved its stinky tofu very much. Today Huo Gong Dian still keeps Chairman Mao’s inscription, which says: "Huo Gong Dian’s stinky tofu, smells stinky, tastes great." Today, the Fiery Palace, Huo Gong Dian, is a must visit place for the foodies, from there you can have all kinds of Hunan local snack food. Highly recommend! 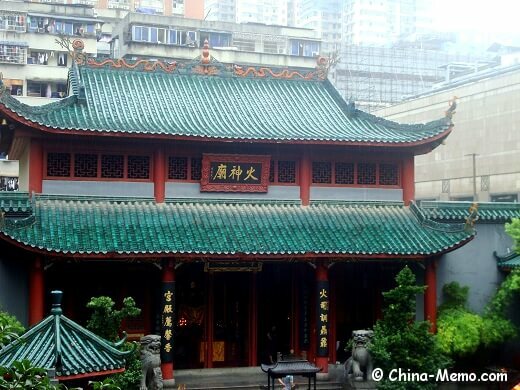 Apart from food, there is Fiery God Temple beside the restaurant, which is also a local attraction for visitors. 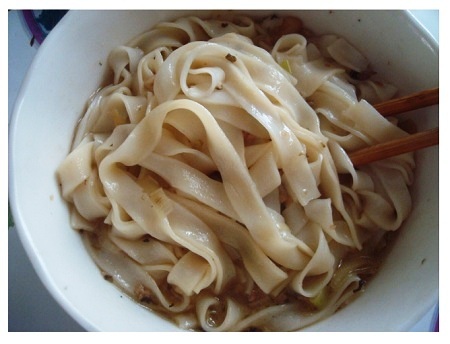 Another famous Hunan food should be the rice noodle. It is very popular and you will see the locals have the rice noodle soup for breakfast, or the fried rice noodles for lunch or dinner. For the breakfast, you will have plenty choice of flavors, with sauce made by beef, pork ribs, or spicy and sour vegetables. 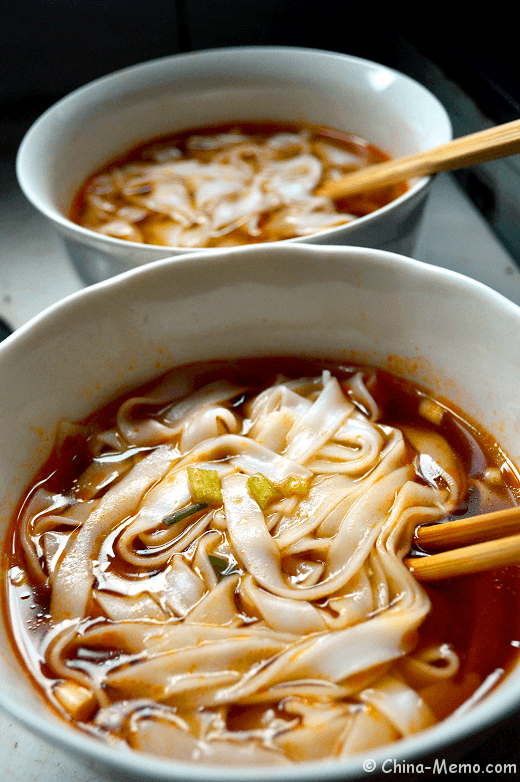 There are mainly two types of rice noodles: the round ones and the flat ones. 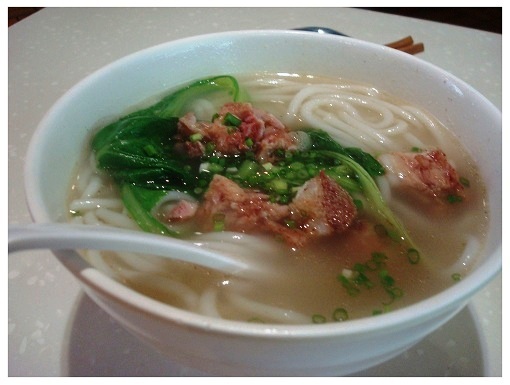 This picture is an example of the round rice noodle soup with pork ribs. My parents would normally buy the flat rice noodles from the morning market then make the breakfast at home. 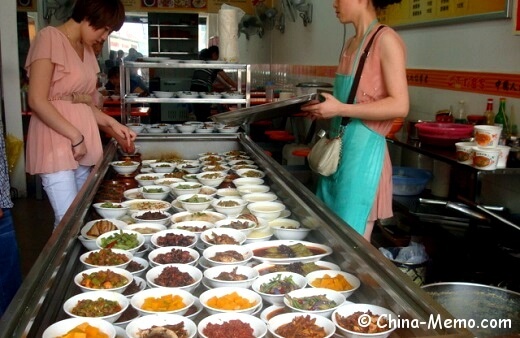 Hunan locals like to make small steamed dishes, not only tasty but healthful as well. These steamed dishes can be made by meat or vegetables, usually seasoned with hot chilies, black beans, gingers and garlic. 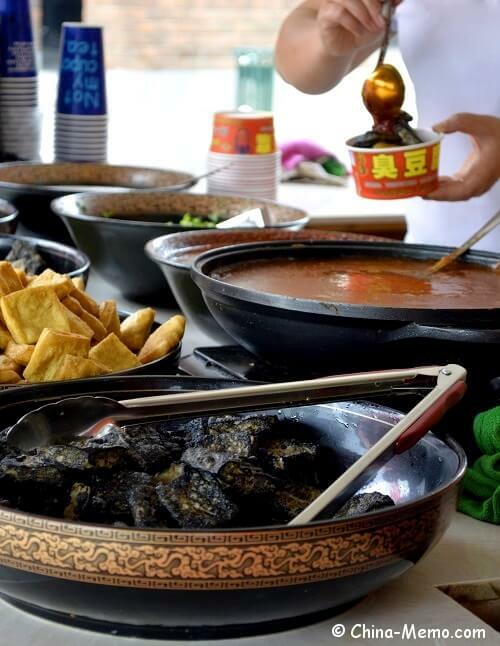 Because the weather in Hunan is very humid, Hunan locals eat a lot spicy food. So the Hunan food is normally heavy tasted, salty and spicy. 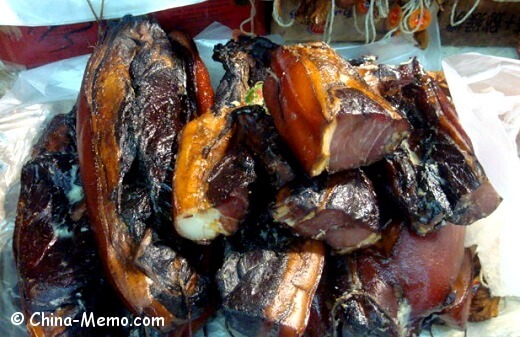 Hunan preserved meat is well-known in China. 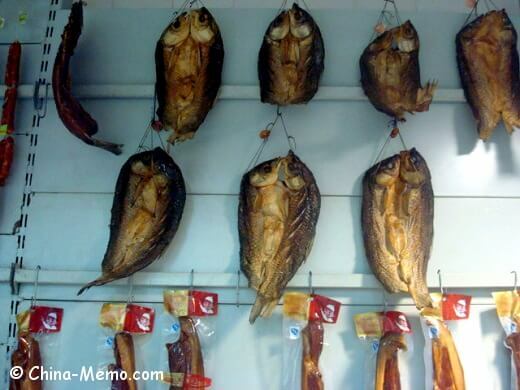 Many tourists who visit Hunan will take some preserved meat back home. 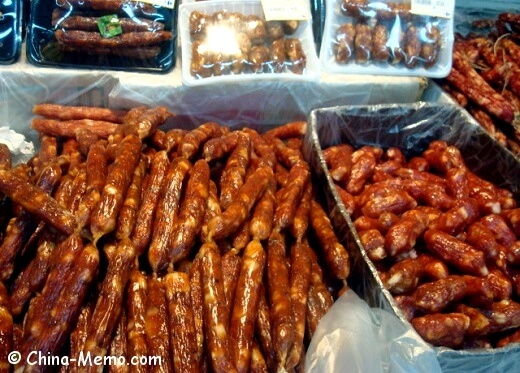 In Hunan local food market, you will find all kinds of cured meat. The most famous one should be the cured pork sausages and cured pork. The cured pork meat can be made by pork belly which normally has skin. Those skin is hard and we have special way to deal with it before cook them. 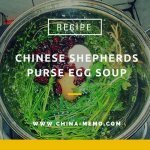 You can find more about Hunan preserved meat in this page and how we cook it at home. Here are the cured fishes from local food market. In the Hunan local restaurants, particularly in the summer night market, there is a popular dish made by locals, called tasty lobsters (Kou Wei Xia). They are not those big sized lobster, someone says it should be called as crayfish or crawfish. The locals would order one big bowl of lobsters and several bottles of beer, enjoying their time in the summer night. The similar dishes are made by eels or river snails. 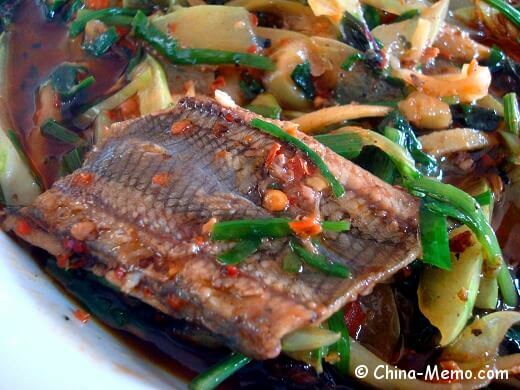 Here is the Hunan tasty eels dish made by local farmer restaurant, including my video to show how local prepares the eels. The iron plate grilled food is popular in Hunan, such as the Iron Plate Beef. 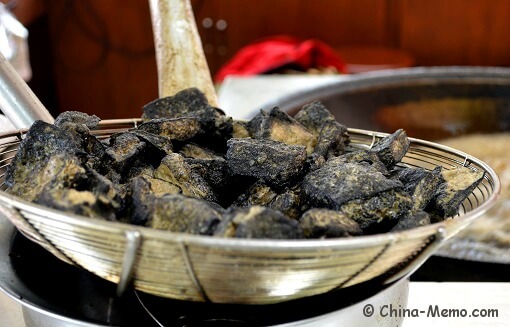 Some site translates it as "skillet beef", but in fact there is a difference as Hunan locals actually use a very iron plate and cook the beef in front of guest, which is a very exciting process!:). 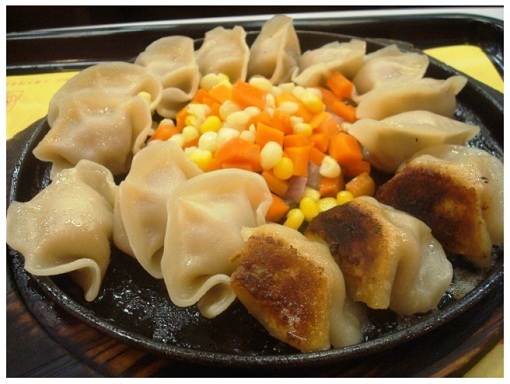 Recently, I have seen something new in Hunan, such as the iron plate fried dumplings. Yummy, yummy!!! 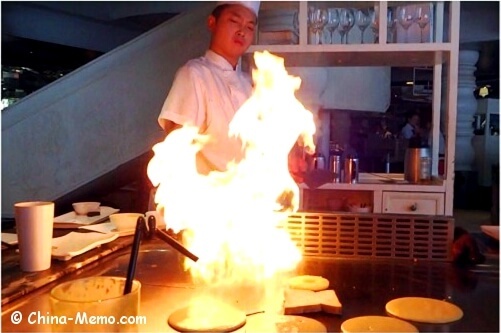 You may also check this popular grill restaurant in Changsha, the capital city of Hunan, see what kind of grilled food they offer. 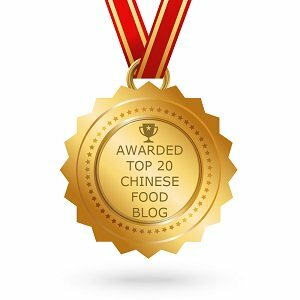 Ok, I hope these are enough information if you are searching for some famous Hunan food. 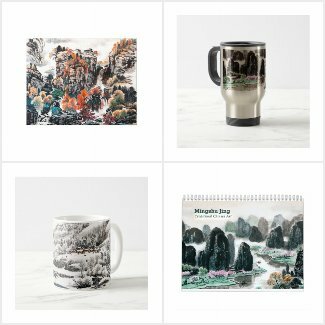 If you like this page, please like it on Facebook or share with friends :). Thanks. If you are interested in cooking Hunan food, you may check this book by Fuchsia Dunlop, who is a cook and food-writer specializing in Chinese cuisine (Sichuan and Hunan). I like the fact that she has lived in China and the way she writes about Chinese food. Once I read how she feels about Chinese century eggs, just made me laugh :). Enjoyable to read. For more famous Hunan food you may check Hunan Food Travel.